Stock photo courtesy of Gov's office. State and local law enforcement agencies will operate as a unified command; “Violence will not be tolerated,” Gov. Nixon says"
WELDON SPRING, Mo. – More than 1,000 law enforcement officers have received additional training to protect the public in advance of the grand jury decision in the Michael Brown case, Gov. 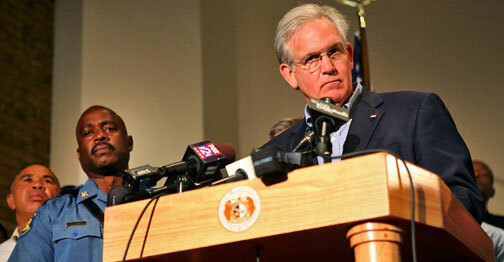 Jay Nixon announced today. 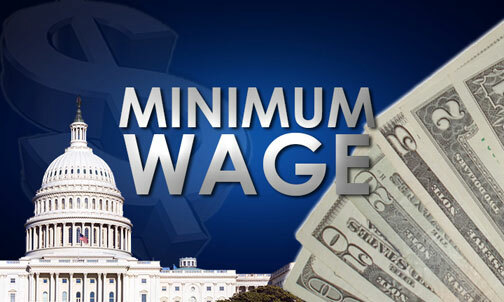 JEFFERSON CITY, MO – The Missouri Department of Labor announces the state minimum wage rate for 2015 has been established, according to state law, at $7.65, effective January 1. All businesses are required to pay at minimum, the $7.65 hourly rate, except retail and service businesses whose annual gross sales are less than $500,000. 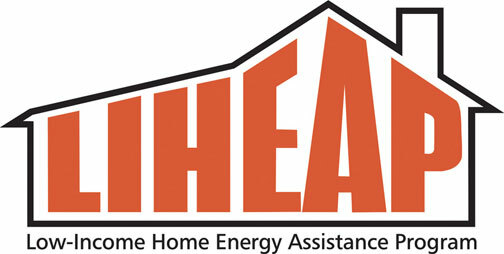 Applications for the Low-Income Home Energy Assistance Program now being accepted. JEFFERSON CITY, MO - As autumn leaves and temperatures drop around Missouri, the Missouri Department of Social Services is reminding Missourians in-need that the Low-Income Home Energy Assistance Program (LIHEAP) can help them with their heating bills this fall and winter. 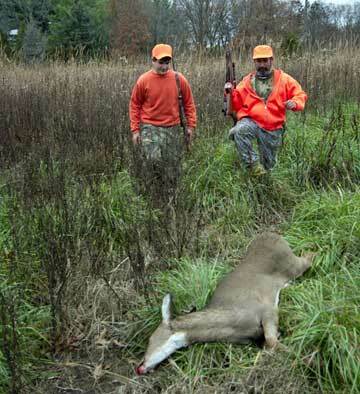 Five portions of the firearms deer season remain. JEFFERSON CITY Mo.–Hunters checked 594 deer during the urban portion of Missouri’s firearms deer season. Officials with the Missouri Department of Conservation attribute the lower-than-average harvest in part to warm, rainy, windy weather. County harvest totals during the urban portion were: Greene, 122; St. Charles, 88; Boone, 84; Franklin, 55; Jefferson, 54; St. Louis, 47; Cole, 40; Clay, 36; Cass, 33; Jackson, 24; Platte, 11. ST. JOSEPH, Mo. 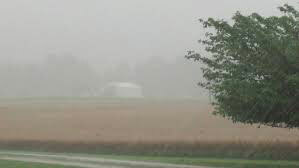 – With heavy rains affecting farmers’ ability to harvest their crops in many areas of the state, Gov. Jay Nixon today announced that the Missouri Department of Transportation has agreed to allow heavier than normal truck loads of farm commodities on Missouri highways. The Governor made the announcement during a visit to BioZyme Inc., an animal nutrition company in St. Joseph. While the waiver is in effect, farmers, private and for-hire motor carriers may carry up to 10 percent more than their licensed weight on Missouri highways. October marks the fourth anniversary of the Missouri Manufacturing Jobs Act and thousands of jobs created as a result, Gov. Nixon says. WENTZVILLE, MO – Gov. 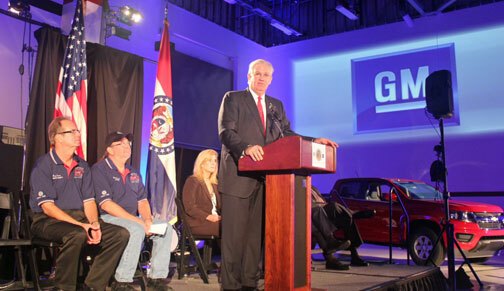 Jay Nixon today joined General Motors executives, UAW leaders, local autoworkers and auto-dealers at the General Motors Assembly Plant in Wentzville for the launch of the Missouri-made, new mid-size trucks, the 2015 GMC Canyon and Chevrolet Colorado. The Governor said the rollout marks another milestone in Missouri’s automotive comeback, facilitated by the Missouri Manufacturing Jobs Act, which went into effect four years ago this week. ST. LOUIS, Mo. – Gov. Jay Nixon today joined Senator Jamilah Nasheed and Alderman Antonio French at the University of Missouri-St. Louis (UMSL) to announce $500,000 to expand access to math and science tutoring and enrichment programs to an additional 350 students from low-income families in St. Louis. 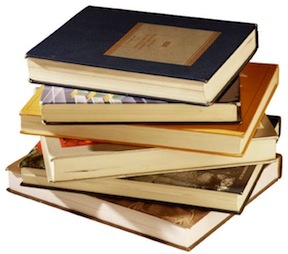 The in-school and after-school tutoring services will be provided through a new partnership between the College of Education at UMSL and The North Campus, an organization founded by Alderman French to provide targeted, intensive educational supports to help lift students and their families out of poverty. JEFFERSON CITY, Mo – Gov. 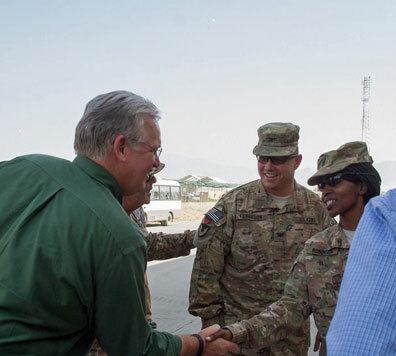 Jay Nixon arrived in Afghanistan on Saturday (Sept. 27) as part of a delegation of four U.S. Governors that included Nevada Gov. Brian Sandoval, New York Gov. Andrew Cuomo and Tennessee Gov. William Haslam. This is the fourth trip to Afghanistan for Gov. Nixon, who is one of the original members of the Council of Governors, formed in 2010 to address matters pertaining to the National Guard and homeland security. On Friday (Sept. 26), the Governors were briefed at Andrews Air Force Base outside Washington DC, before flying to Ramstein Air Base in Germany. At Ramstein on Saturday, they visited with military patients being treated at Landstuhl Regional Medical Center before traveling on to Kabul, Afghanistan. 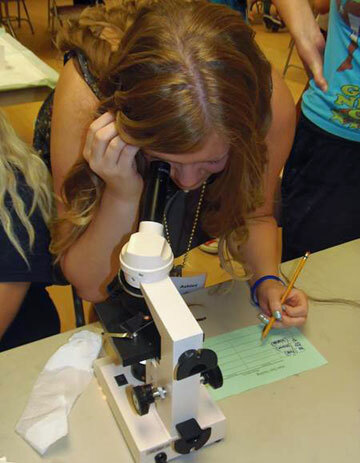 Emerson is committed to developing women leaders in STEM (science, technology, engineering, mathematics), and demonstrates this commitment with the announcement of a $500,000 investment in Girl Scouts of Eastern Missouri’s STEM programs. Their investment will provide opportunities and experiences for today’s girls so they can reach their full potential and become the leaders of tomorrow. By the time today’s girls graduate from college, the United States will need three million additional scientists and engineers. More than 50 percent of college graduates are women, yet only 20 percent of the graduates in physics, engineering and computer science are women. Recognizing the under-representation of women in STEM careers coupled with a need for strong leadership in these fields, Girl Scouts has identified STEM as a programmatic focus area. JEFFERSON CITY, MO – Gov. Jay Nixon Tuesday applauded the working men and women at the General Motors Assembly Plant in Wentzville on the announcement that GM will add a third shift at its Wentzville location, creating an estimated 750 new jobs.